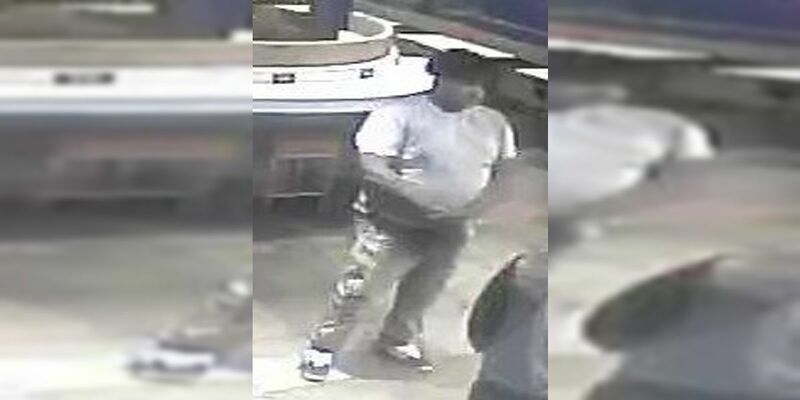 BATON ROUGE, LA (WAFB) - Police are looking for a man accused of robbing a man who was in a violent fight and shootout at a Taco Bell near LSU late January. Detectives with the Baton Rouge Police Department are trying to identify the man, and released a surveillance image of him inside the Taco Bell on Burbank Drive. Police released surveillance image of a man suspected of robbing a man who was involved in a violent fight and shootout inside a Taco Bell. Investigators believe that after the altercation, which happened January 21, the unidentified man left the restaurant, and burglarized the victim’s vehicle. Authorities say the man then fled the area in a dark-colored compact vehicle. The victim walked out of the restaurant and then returned later to get his property that was lost during the fight. Police said the incident happened just before shots were fired inside the Taco Bell. Authorities believe the unidentified man fled in a dark-colored car on the night of the shooting. Police urge anyone with any information on the identity of the man to contact the Violent Crimes Unit at 389-4869 or Crime Stoppers at 344-7867.